More than 300 economists, policymakers and academics, and a smattering of the politicians who presided over the events leading to the great crash of 2007-8, met up over the weekend at an historic location. The conference was sponsored by the Institute for New Economic Thinking, which was set up in 2009, by George Soros one of the world’s most notorious speculators. In 1944, at the same Mount Washington Resort in Bretton Woods, the world’s financial leaders thrashed out the architecture of a new order for the world economy to replace the one shattered by the Great Depression and World War II. They succeeded in creating monetary agreements between nations and organisational arrangements to handle emergency funding that would enable capitalism to set out on the growth path once again. Last weekend’s aim was to consider whether the international order remained fit for purpose ahead of the annual spring meetings of the International Monetary Fund (IMF) – one of the world level agencies set up following the 1944 gathering. Following the catastrophic losses associated with the global financial crisis, do policymakers have either the vision or the tools to manage the politics of austerity? The unambiguous answer was no. The problem is that in those 67 years since Bretton Woods, capitalist corporations and a global web of financial institutions have outgrown the system of nation-states that came into existence as the result of earlier phases of social, economic and political evolution. The crisis, speaker after speaker confirmed, was the outworking of hubris, delusion, commitment to flawed ideological constructs and inattention to history. Moreover, the policy response has legitimated socialised losses on a scale unimagined by the architects of the Bretton Woods system. It has amplified the moral hazard associated with protecting a banking industry addicted to unsustainable and undesirable leverage. Deemed too big, too interconnected and too complex to unravel without causing systemic failure, banking has emerged as the sole winner from a crisis its funding model helped to cause. Somewhat paradoxically the banking sector has become even more concentrated, making it all but impossible for regulators to control. More perniciously, the sector has a vested interest in curtailing the co-ordination necessary to engineer meaningful change, particularly in the United States but also in Europe, now the epicentre of the financial crisis. The complexity of the deeply integrated European and North American banks demonstrates the failure of regional and global institutions of power, flawed harmonisation agendas and weaknesses of national regulation. Wariness in advocating radical restructuring risks privileging the symbolic over the substantive. As Andrew Sheng, a senior adviser to the China Banking Regulatory Commission put it, advocating piecemeal ad hoc reform overseen by a fragmented system of national regulators is ‘like asking pygmies to hold down giants’. Gordon Brown, who, as British chancellor was amongst the greatest enthusiasts for the financiers’ rise to power, claims that "we didn't understand just how entangled things were". This is nonsense. Many warned about the consequences of creating a financial system driven by investment banks and exotic 'products'. New Labour was just happy to rake in the tax proceeds to finance its social programmes. Like fish in the sea, unaware of the water they live in, these academics and policy-makers breathe the air of capitalism. They have had their day. The 2011 version of Bretton Woods was effectively an epitaph for a global capitalist system founded on debt. It falls to the mass of people to create a new 'architecture' in the shape of an economic system based on need and not profit. "There is an overpowering logic in putting people back to work"
Stephen King's "Economic Outlook" (4 April) did at least cast doubt on Osborne's pipedream that savage cuts in public spending will usher in a private-sector supply-side economic recovery. Price Waterhouse Coopers estimate that every job lost in the public sector will mean another job lost in the private sector, so if 450,000 jobs in the public sector are lost, we could be looking at close on a million extra unemployed some three years hence. It could actually be worse than that with powerful downward multiplier effects kicking in. King goes on to reject the Keynesian alternative, too, suggesting that whatever governments do, we're all doomed. He should be reminded that in 1945, with gross government debt four times larger than now, Labour and subsequent Conservative governments spent their way out of debt by maintaining high levels of employment, thus maximising tax receipts and minimising the bill for benefits. The National Health Service was created, living standards rapidly rose, and inequality was reduced. More of the same now would have the same effect, so why not just do it? The alternative is to leave millions of ordinary people wishing to consume goods and services but without the income to do so, and millions of people willing to produce those goods and services but unable to do so because they are unemployed. There is an overpowering logic in putting those people back to work. That cannot happen unless the government takes action to create jobs, raising spending in the most labour-intensive areas such as construction and the public services. Annual deficits and Britain's gross debt would then start to fall just as they did in the quarter century after 1945. For the fourth year in succession the national minimum wage will rise below the rate inflation, when it is uprated in October 2011. LEAP has previously criticised the TUC for submitting below-inflation bids for the minimum wage, and then for welcoming an even lower rate. This year with RPI at 5.5% and CPI at 4.4%, the national minimum wage rises only by 2.5% - up by 15p to £6.08. For younger people aged 18-20 it rises only by 1.2% and for 16-17 year olds by 1.1%. This small increase in the minimum wage is completely outstripped by the current rate of inflation. The rise will do little to help the lowest paid in our society keep up with the rising cost of food and fuel. The paltry increase in the minimum wage for the under twenties is an insult. There is no reason why younger workers should be paid less and have to struggle more to keep up with the cost of living - it's tantamount to exploitation. Workers should be paid the rate for the job regardless of age. This is yet another attack on young people by this Tory-led government. 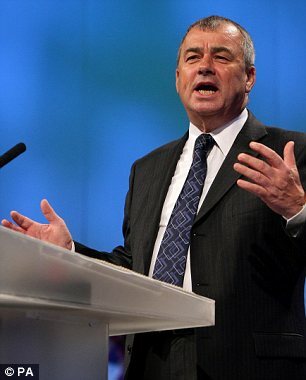 Yet again though the TUC played its usual supine role, with Brendan Barber describing the real terms cut as "a welcome pay boost for around 840,000 low-paid workers in the UK." "The LPC [Low Pay Commission] has taken great care to ensure that the new rates are set at a level that will not damage job creation in these uncertain economic times." When corporate profitability is at an all-time high, the TUC is asking workers to accept declining pay in order to shore up corporate Britain's profit margins. "This small increase is totally outstripped by the rising cost of essentials like food and fuel. The vast majority of a low paid worker’s pay is eaten up by basic living costs – so increases in inflation hit hard. “We know that many low paid workers are already struggling with heavy debt. Others are cutting back on food, and what they spend on their children. Not only does this show that many families are really struggling – it’s also bad news for local shops and businesses. “It’s wrong to suggest that a smaller rise in the young people’s rate is better for businesses. Hitting young people’s spending power is a direct hit on those businesses. We need strong demand in our economy to stimulate growth and recovery. Young people also need a helping hand – they are victims of a recession that they did nothing to cause. 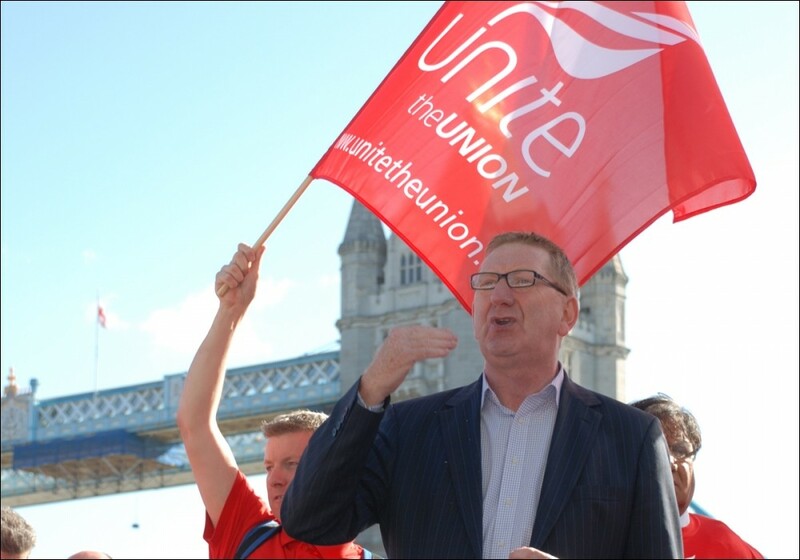 These are welcome signs of unions shaking off the passivity of the TUC. Labour representation is an industrial issue, not just a political one.